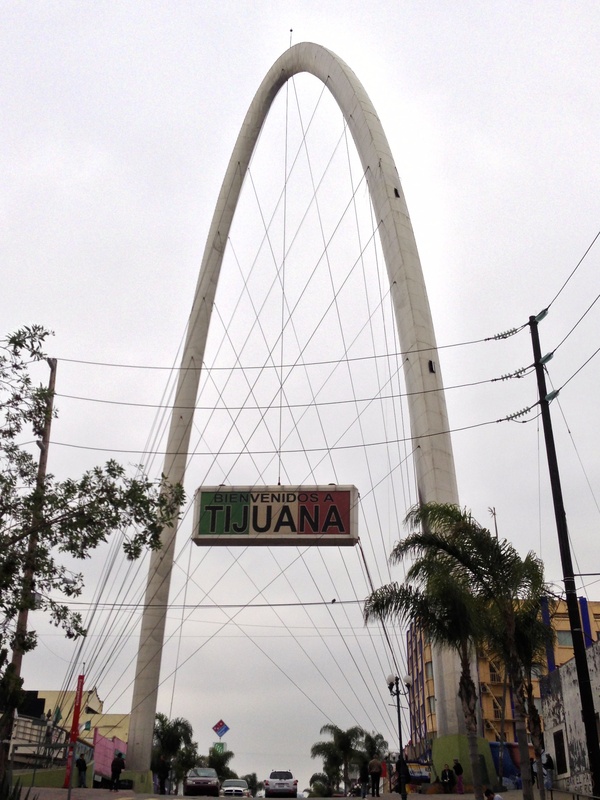 Do you Believe Tijuana is Safer than Chicago? I love being able to highlight good news coming out of Mexico. Each day I read a number of news feeds about Mexico, and it’s not all good news, so it is always a source of encouragement to read about positive change in Mexico. I already posted this article on Facebook a few days ago, but I wanted to make sure that you saw it in case you didn’t see my Facebook post. 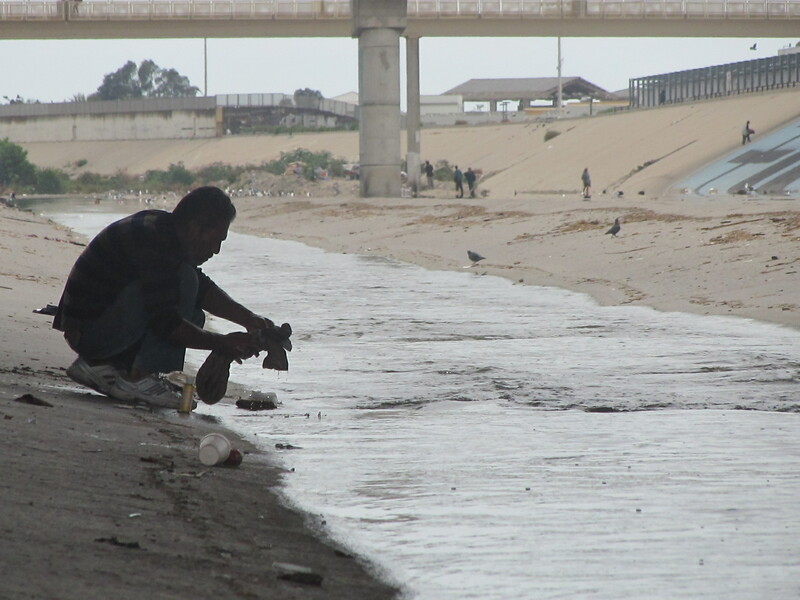 There’s been a huge change for the better over the last five years in Tijuana. Dawn and I visited Chicago this summer, and we didn’t feel like we were in an unruly city. The media does play a big part in our perception of a place. This quote from the article titled, Tijuana is much safer than Chicago, written by Brenda Colin and Omar Martinez describes some of our misconceptions and challenges of changing those misconceptions. 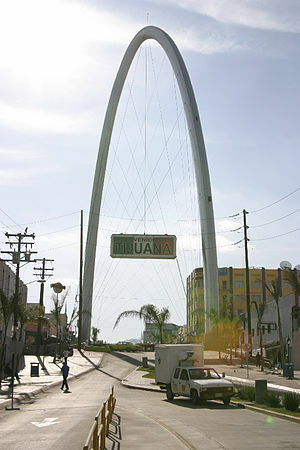 It’s very common when speaking well of Mexico that the neighbors up north do not recognize the changes that have been made, and continue to make comments about “the great danger of visiting Mexico”, but for those who have come and visit its cities, they know well that its nothing like “they” make it seem to be. Comparing Tijuana and Chicago is only one example of how important is to look further into details before making your own judgments, and not just going by what everyone else thinks. 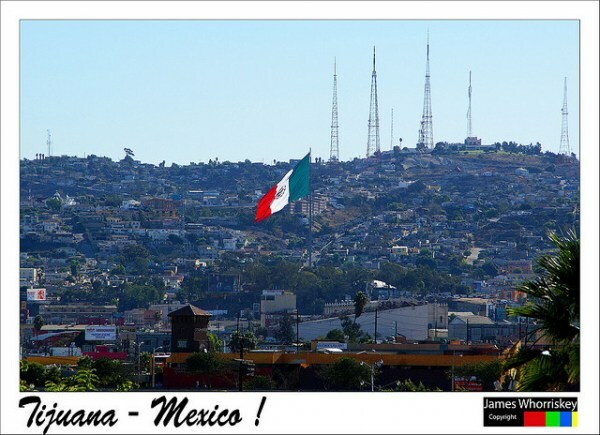 Keep praying for a renewed Tijuana and a revived border. Church on a bus, what a concept! Have you ever worshipped on a bus? 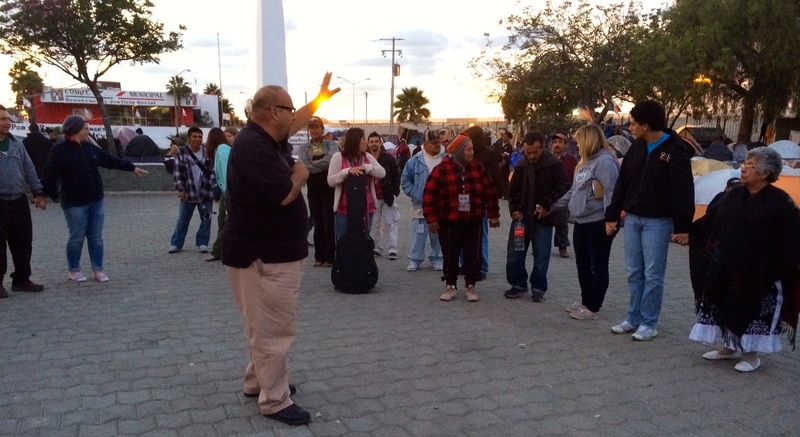 Yesterday I was in Tijuana learning about some new friends ministry, and they told me how they hold church services on a bus. This is a creative way to plant new churches. 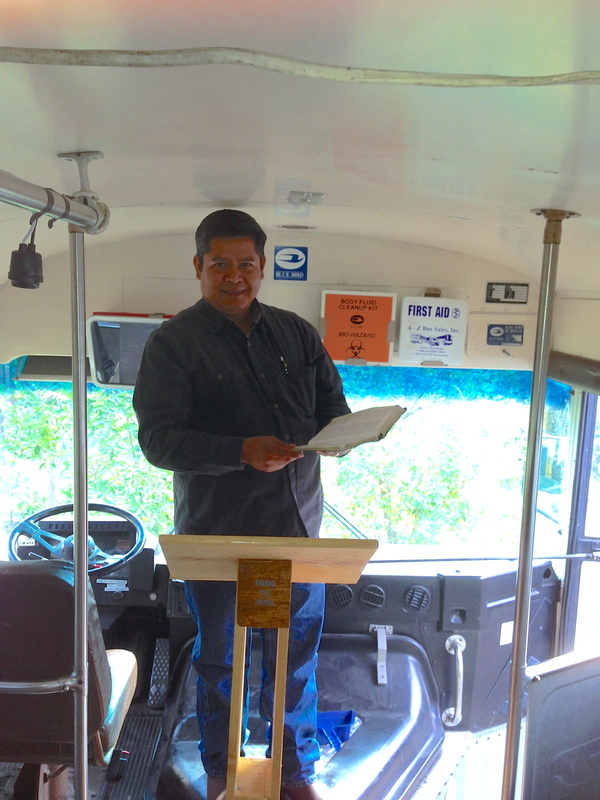 When the church is just starting, and doesn’t have enough people and funding to build a church they hold service on a bus. I guess, it’s church on the go, although the bus is parked when they are worshipping. Pastor Juvenal Gonzalez and missionary Jim Shankula showed me one of the buses they use to reach people for Christ in new communities. They also use tarps for a tent like covering, which works better when the weather is good. 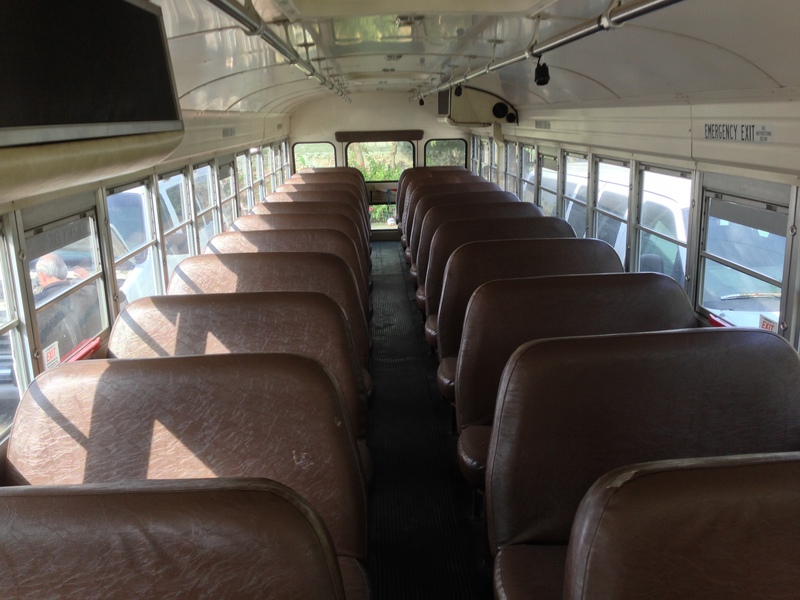 What do you think about having church on a bus? It is a creative way to reach people when resources are limited. Paul speaks of becoming all things to all people to reach them. God’s heart as Paul expresses it here is to “think outside the box” in sharing the good news of the gospel. I and those that minister with me share this desire. I know there are limits on how far we should go with this. I’m curious to know what you think about the practical implications of becoming all things to all people, to save some? How do we live that out? 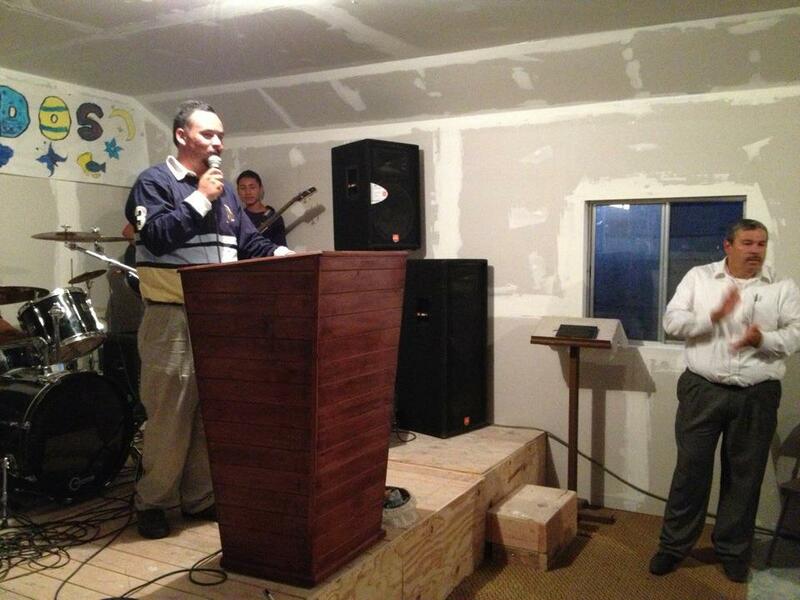 We continue to pray for the kingdom of God to be expanded on both sides of the border. What are some of the creative ways you’ve seen or experienced in worship? Or, Maybe you have a creative idea that we should consider in reaching people for Christ on the border. I’d love to hear it! Despite an hour and half wait to get into Mexico Friday night, and a three hour wait to get out of Mexico on Saturday we experienced an unbelievably great weekend! 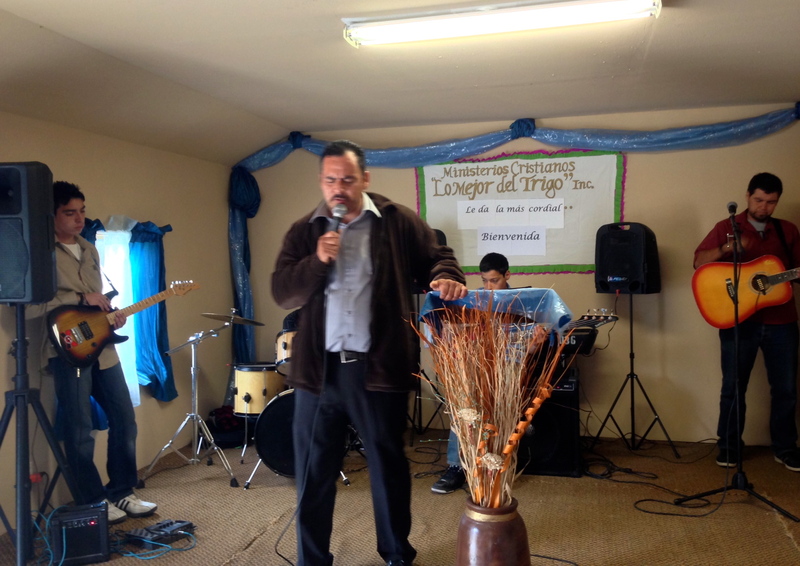 The highlight of the weekend was working with over 30 people to finish up the work on the Lo Mejor Del Trigo Church Building in eastern Tijuana. My wife, Dawn, and my son, David Jr. were also able to go on the trip with me as well as a number of friends. 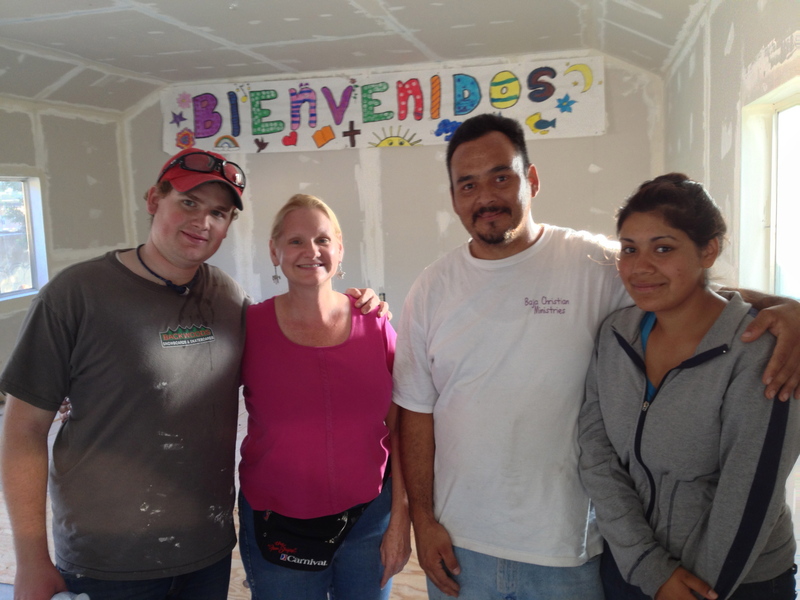 Issaid Arechiga, David and I worked on putting the sheet rock up on the ceiling. 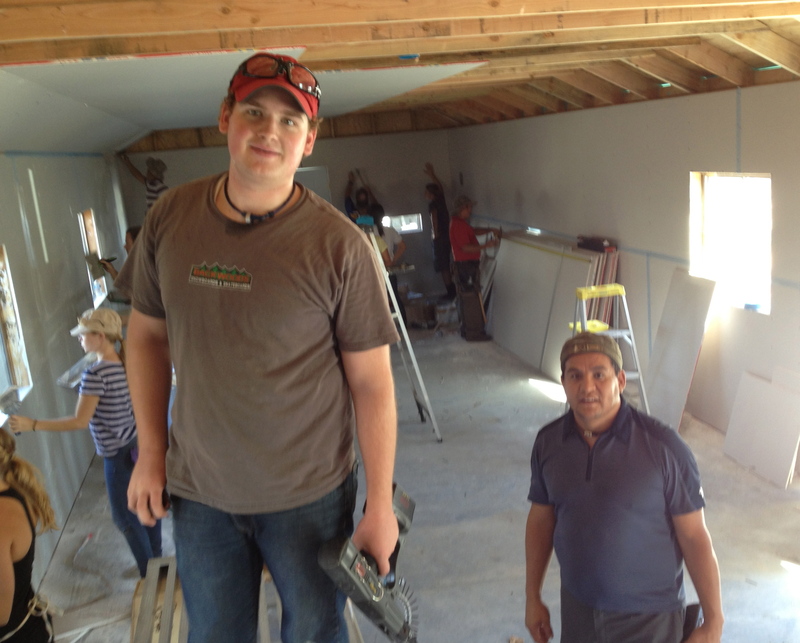 It was a lot of fun spending the day with them, and helping get the church built. The main reason I went on the trip was to connect with our Mexican partners, and to get to know all our friends from Harbor. I thought with such a good sized group that I probably wouldn’t need to help with the construction all that much. I ended up staying busy most of the day, and since I was able to do work with friends and my son it was a great time. As we were finishing up the day we invited people in the community and we shared the gospel with them. A few from our group shared their testimony, a short gospel presentation was given and the pastor was introduced to the community. Dawn and I met one family from the community that has struggled to make a living a few years ago. 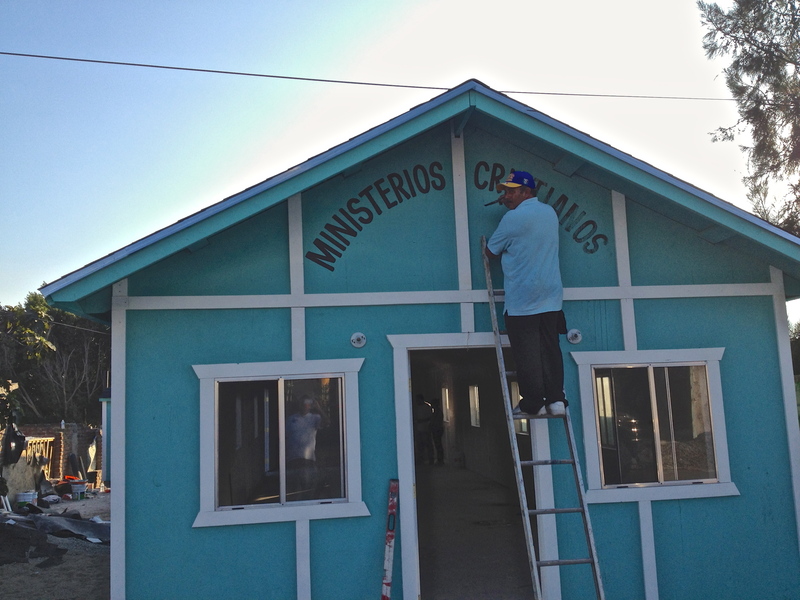 They told us that Baja Christian Ministries built a home for them, and it was a huge blessing to their family. 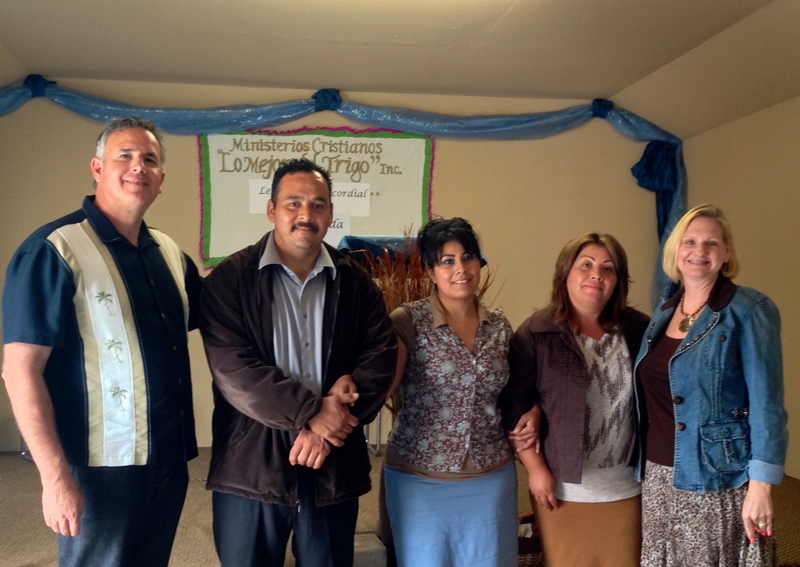 Gerardo and his wife expressed excitement that a church was moving into their community. Yeah God! 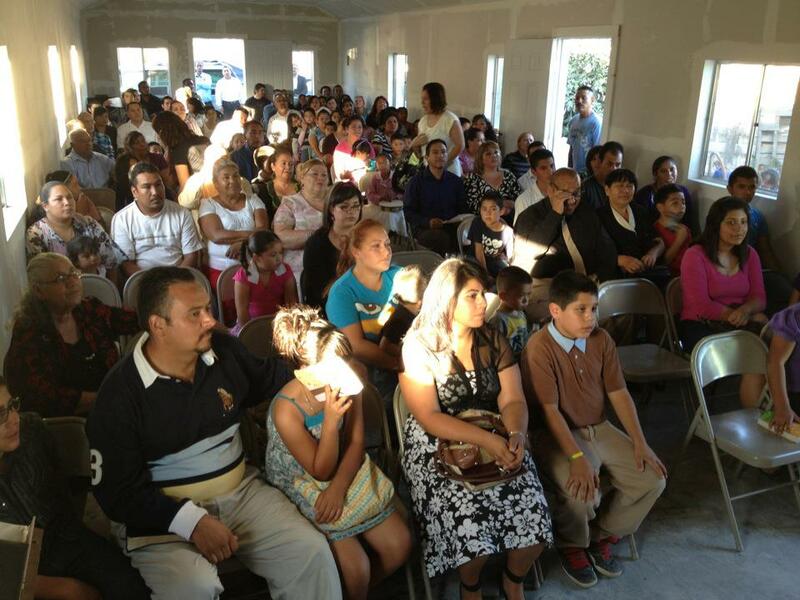 Today the church celebrated their first service. Join us in prayer that the church will grow and be a blessing to the community!